A complex and unfamiliar world has just been forced upon you by the negligence of someone else in an auto accident in or near Beaverton, OR. Rest assured in the knowledge that you have an experienced specialist on your side. 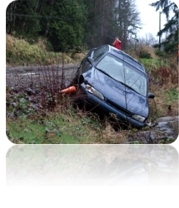 I represent Beaverton clients who sustain injuries in a vehicle accident.